After western artist Charles Marion Russell died in 1926, his wife Nancy asked Will Rogers to write the foreword for a book of Charlie’s illustrated letters entitled Good Medicine. In this introduction, Rogers disregarded celebrating Charlie Russell the artist and concentrated on Charlie Russell the man. “Charlie didn’t have a single earmark on him that we associate with the “artists.” Why he could think twice as straight as he could draw a line with a brush. He was a Philosopher. He was a great Humorist.” This was high praise coming from a man who was easily the most beloved and most popular man in the early twentieth century; so popular with the America people that it concerned Franklin D. Roosevelt that Rogers might heed the call and run for president of the United States in 1932. In reading about both men it is easy to see why they were great friends; they once had worked and lived in the “Old West,” they lamented its passing, and they knew they were symbols of a bygone era. Will Rogers was only one year old when Charlie Russell left his affluent home in St. Louis, Missouri in 1880 to live the life of a cowboy in Montana. Russell was born in 1864 into a wealthy family who had settled on the outskirts of St. Louis in 1803. Charlie’s grandfather James Russell, along with his second wife Lucy Bent, grew vegetables for the St. Louis Market on their large estate called Oak Hill. It was also on this property that they found coal and the avenue to wealth. James and Lucy had four children, their son Charles Silas married Mary Elizabeth in 1858, Charles Marion Russell was their third child. Both the Russell and Bent Families left an historical legacy; they were pioneers who forged the frontier and helped settle the American West. Lucy Bent’s family is, perhaps, the most colorful, especially her brothers, William and Charles, who are significant characters in the history of the American West. Both Charles and William participated in the growing western fur trade. Charles Bent, ten years older than William, joined the Missouri Fur Trading Company in 1822 and explored the upper Missouri River and the Yellowstone country. In 1827, 18 yr. old William followed his brother into the West; he also worked for various fur companies. In 1829, the brothers helped to establish and promote the Santa Fe Trail, which became a commercial link from St. Louis to northern Mexico. In 1833, William established Bent’s Fort at the confluence of the Arkansas and Purgatory Rivers, a way station and trading center on the Santa Fe Trail. In Toas, at one end of the Trail, Charles opened a store and married a Mexican Woman. Meanwhile, back at Bent’s Fort, William married a Cheyenne woman(Owl Woman). After the Mexican War when United States took possession of New Mexico in 1846, Charles Bent became the first Governor. Soon after, however, a gang of Mexicans and Indians murdered him in his adobe house, body mutilated and scalp pinned to the door. When the federal Government tried to seize Bent’s Fort, William burnt it to the ground; after that he had great animus toward the U.S. Government. He eventually rebuilt the fort down stream. William had two sons, Charles and George. Both boys were in the Civil War, fighting for the confederacy. After the war, the boys lived with their mother’s people, the Cheyenne, and joined the warrior Dog Soldier Society. 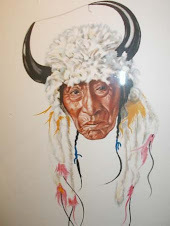 They lived the life of full blood Cheyenne; they participated in buffalo hunts, they fought in Indian wars, they took white scalps, and they fought with the Cheyenne at what became known as the Sand Creek Massacre in 1864. 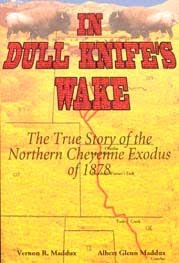 The atrocities at Sand Creek by U.S. Army Troops, the killing and mutilation of Cheyenne women and children turned Charles against all whites, including his father’s people. He engaged in many atrocities against whites on the Plains, and became the most wanted outlaw in the West. In 1868, Charles was wounded in a fight with the Pawnee, caught malaria and died. At that time, his cousin Charles Marion Russell was four years old. 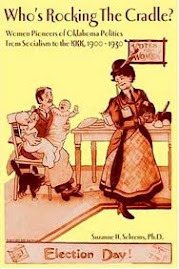 Even though the Russell and Bent families disowned Charles and George,the exploits of Grandma Lucy’s brother’s families were nothing but exciting stories of adventure to a young boy growing up; it is little wonder that Charlie Russell left home at sixteen to seek his own adventure on the Montana frontier. While Charlie Russell had to leave home to become a cowboy, Will Rogers came by it naturally. William P. Rogers (they called him Willy) was born in 1879 on the Oklahoma Frontier near the present town of Oologah, Oklahoma. 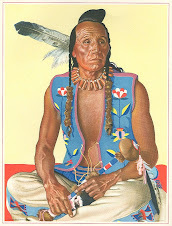 He was of Cherokee decent, his ancestors moved to Indian Territory before President Andrew Jackson forcibly removed the Five Tribes from their eastern homes and resettled them on the western lands in 1832. Will Rogers grandparents Robert and Sallie Rogers, first settled in Indian Territory in a fertile valley overlooking the Ozark Mountains near the Arkansas border. They were prosperous cattle ranchers (and slave owners) who raised horses and grew corn, wheat and fruit. Will’s dad, Clem, was born in 1839. Clem grew up to be a very ambitious and ultimately successful rancher and politician, he won political office as a district judge in 1877, a seat in the Cherokee Senate in 1879, and in 1907, he was a delegate to the constitutional convention for the new state of Oklahoma. Like many mixed-blood Cherokees, Clem sided with the slave holding faction of the Cherokees and fought for the confederacy during the Civil War. After the war, he invested in cattle and built a sizable ranch near the present town of Claremore Oklahoma. Will Rogers grew up on the ranch, where riding and taking care of horses was the center of his life. Cowboying came natural to Rogers and as a young man he was fascinated with the “art” of calf roping. His horse, Comanche, was a good roping horse and Rogers became a very efficient roper. He especially picked up on roping techniques adapted from Mexican Vaqueros. Lariats were common equipment for any cowboy and much of their leisure time was spent refining their roping skills. It was this skill that enabled Rogers to make a living as a young man when the wanderlust took hold of him and he started traveling the world in Wild West Shows. His trick roping finally landed him a job in Vaudeville, where his roping act expanded to include chatting and joking with the audience, and making humorous comments about the politics of the day. In 1918, he performed in the Ziegfield Follies, which started him on his way to a successful career as an entertainer. From Ziegfield he moved to the new art form of motion pictures. He eventually moved with ease from silent films to talkies. During his lifetime, he made over 71 movies. He was easily the most popular man in America in the late 1920s and early 1930s. There are various stories on how Charlie Russell and Will Rogers met. One suggests that they met at the 1906 St. Louis World Fair, (Louisiana Purchase Exhibition celebrating the centennial of the Louis and Clark Expedition). They were both participants in the Fair; it was a very successful exhibition for Charlie Russell. At the turn of the twentieth century, Charlie Russell was no longer riding the range in Montana. He loved the life of a cowboy, but even as a cowboy he carried a sketchbook often recording the Montana where he lived and worked, or he sculpted a figure out of clay that he customarily carried in his pocket. By 1906, Russell had a following, a catalogue of paintings, and a wife, Nancy, who was good at marketing his work. Nancy understood the growing enthusiasm in America and Europe for the culture of the American West. 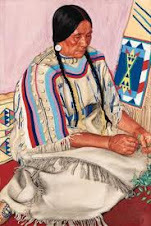 She interpreted this fascination as nostalgia for a by-gone era and saw correctly that her husband’s paintings were popular because of the romantic image he depicted of the nineteenth-century West. If Will Rogers and Charlie Russell did not meet at the St. Louis fair 1906, then it was soon after. By 1910, they were good friends and part of a growing group of westerners looking at New York City as a place to get their “start.” To be an artists or entertainer in America at the turn of the twentieth century would inevitably lead to New York City. Both Will and Charlie landed in New York soon after the World’s Fair ended in 1907. Will was trying to sell a few jokes and Charlie was trying to sell a few paintings. In New York they hung around with other westerners who were in the City hoping to advance their respective careers. But, they never gave into the influence of the eastern culture, they hung tenaciously to the Old West; they were bastions against the modern advances of the twentieth century. These bastions would meet at the apartment of Ed Borein, a friend of both Will and Charlie. Ed Borein (1872-1945) was from California and was a self-taught artist. 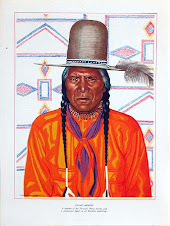 He went to art school in San Francisco for a short period of time, but left to work as a vaquero at one of the Spanish ranches in Northern California, where he learned to rope, herd and brand cattle. He settled in New York City in 1907 working as an illustrator for Sunset and Colliers magazines. He found fame as an artist and as an interpreter of the Old West. His flat became a gathering place for those who sought opportunities in the East but longed to be in the West. Ed’s third-floor loft was a museum of western artifacts, Mexican blankets, rugs, costumes, hats, ropes, and saddles. But, perhaps, most familiar to those who walked in the front door was the smell of cowboy beans that was always simmering on the back burner of Ed’s stove. Charlie and Nancy Russell’s home was in Great Falls Montana, but since the big art shows were in New York City, and the East held many consumers of all things western, the Russell’s started for New York each winter transporting a fresh supply of Charlie’s paintings. During this period, Will Rogers was becoming more popular with each show he performed, eventually garnering star billing in the Ziegfield Follies. When movie opportunities became more numerous, He packed up his family and moved to California in 1918, first living in Beverly Hills (before it was THE Beverly Hills) and then to his ranch in Pacific Palisades in 1929. The gang at Harry Carey's Ranch in California. Will is missing, but Charlie Russell is in the front row and behind him is Will's wife, Betty, and their two children. Also along side the Roger's clan is Nancy Russell. Both Russell and Rogers continued to gain fame in the 1920s and both were getting high dollar for their work. But, as busy as they were building their careers, they continued to get together with each other and with those who shared cowboy beans in New York. The “westerners” were now living in the West where they perhaps looked less conspicuous in their cowboy boots and hats. Among their friends were Ed Borein, Fred Stone, William S, Hart,(1964-1946) Harry Carey(1914-1998), Russell protégé, Joe De Yong(1894-1975) and Charlie Lummis.(1859-1928). In 1925, Nancy contracted to have a home built in Pasadena, California called “Trails End" The home would give Charlie a respite from the Montana winters. By this time Charlie had numerous ailments and Nancy hoped that the southern California sun would be good for him. This was also a very busy period in his life. Nancy had lined up more work than an ailing Charlie could complete. His health continued to deteriorate through 1925 and he died before he could settle into their new home. Russell died on October 24, 1926 at his home in Great Falls, Montana. Russell left a legacy of paintings that captured his longing for the Old West, a West of which he had only a fleeting acquaintance. And Will Rogers. In 1920s Will Rogers became more popular with every passing year. He was fortunate to live in California at a time when there was still a lot of space to develop a ranch, to have his horses, and to have his steers to rope. He was never without his rope and when bored with nothing to do, he would go out to his corral and rope a steer or two. As the prosperous Twenties moved into the Depression of the Thirties, Rogers endeared himself even more to the America people with his observations of the Economic Depression and his commentary on personalities in government and society, who either helped of hindered economic recovery. But, he was always the adventurer and kept an extremely busy life, including his love of flying. Nine years after the death of Charlie Russell, Will Rogers , along with pilot Wiley Post, died in a small plane accident near Point Barrow, Alaska. Will Rogers’ and Charlie Russell’s popularity in the early twentieth Century grew out of the fascination Americans held about the American West being the “last frontier.” It was a romantic notion that incorporated the ideal of frontier independence, a place where “a man’s gotta do what a man’s gotta do” type man lives. Art consumers could see it in Charlie Russell and his art and theatre patrons could see it in the persona of Will Rogers.